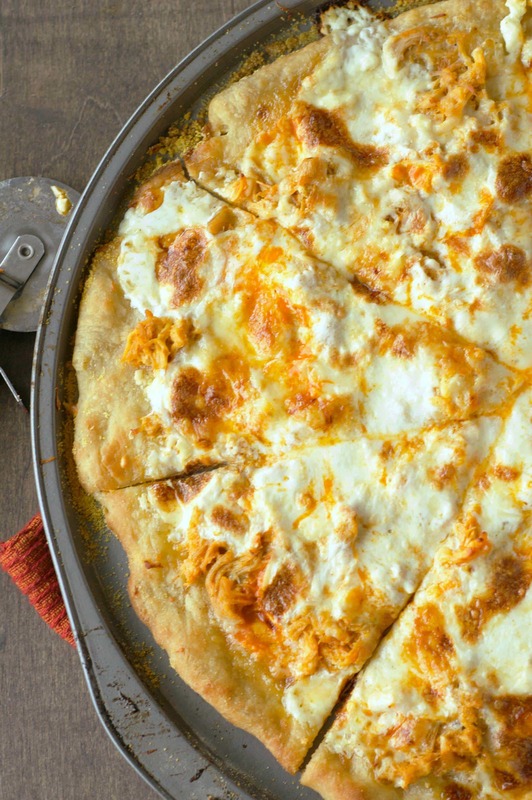 Welcome to Slow Cooker Buffalo Chicken week! This is part one of a three part series…make Buffalo Chicken in the slow cooker once and use it to make three meals! So I thought I’d spend this week and focus on one very important food group, Buffalo Chicken! 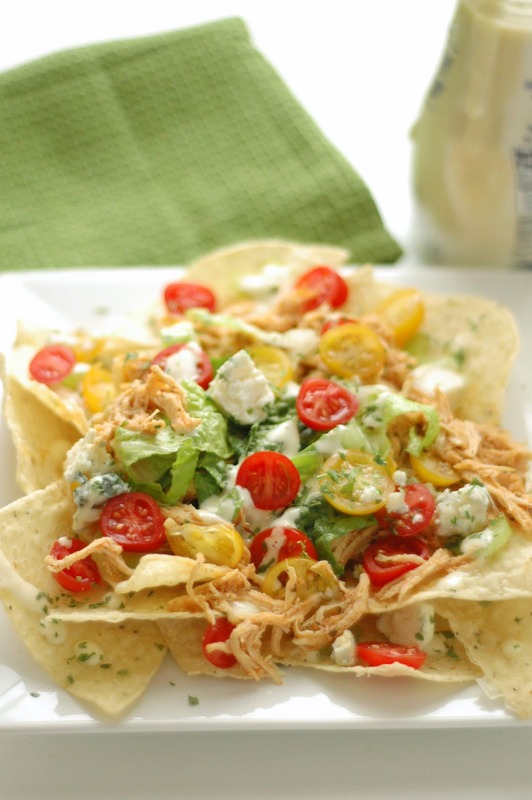 It’s a food group that you need to make sure you are getting enough of and I am here to help. Seriously though, I just came to discover that I actually like (LOVE!) buffalo chicken only recently and now I’m working hard to make up for lost time. 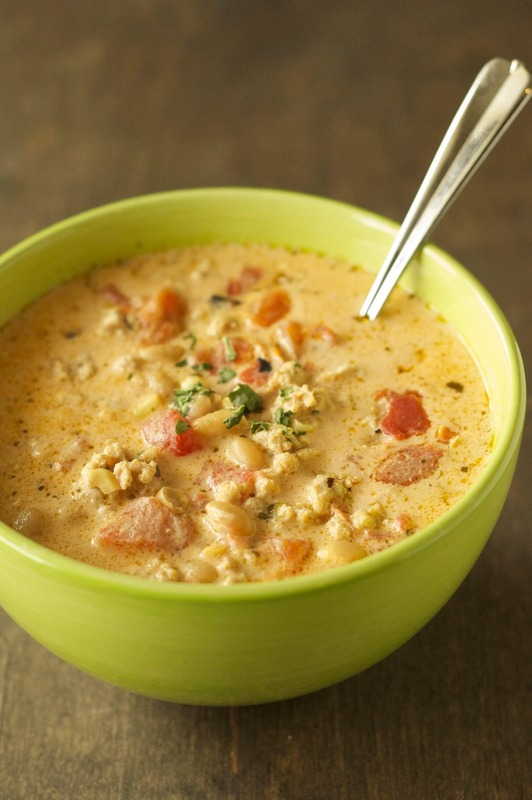 If you are with me on this then you will have three delicious buffalo chicken meals in a week when you crock this up! Or, if you like it but don’t dream about it when you go to sleep at night you can freeze up some of it to make the other recipes later. 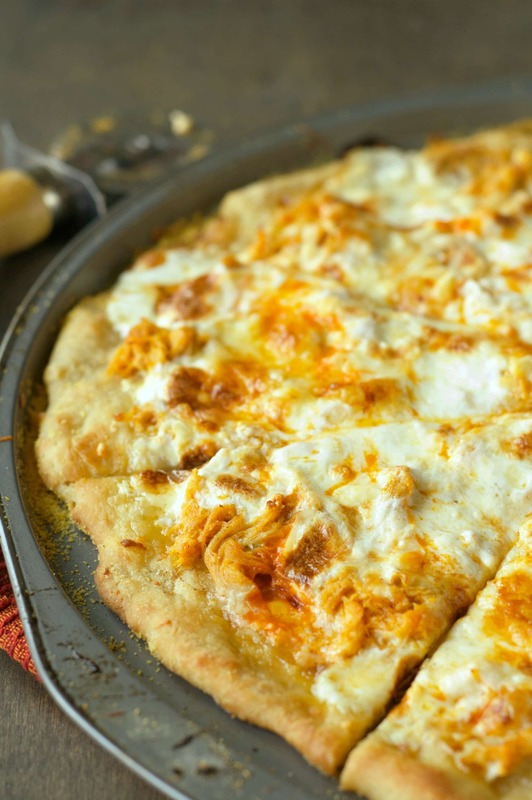 The chicken could not be easier to make and having it ready to go makes it a snap to make this delicious pizza! Here quick I’m going to throw the super simple buffalo chicken recipe at you but don’t stop there. Keep scrolling down for the pizza recipe! 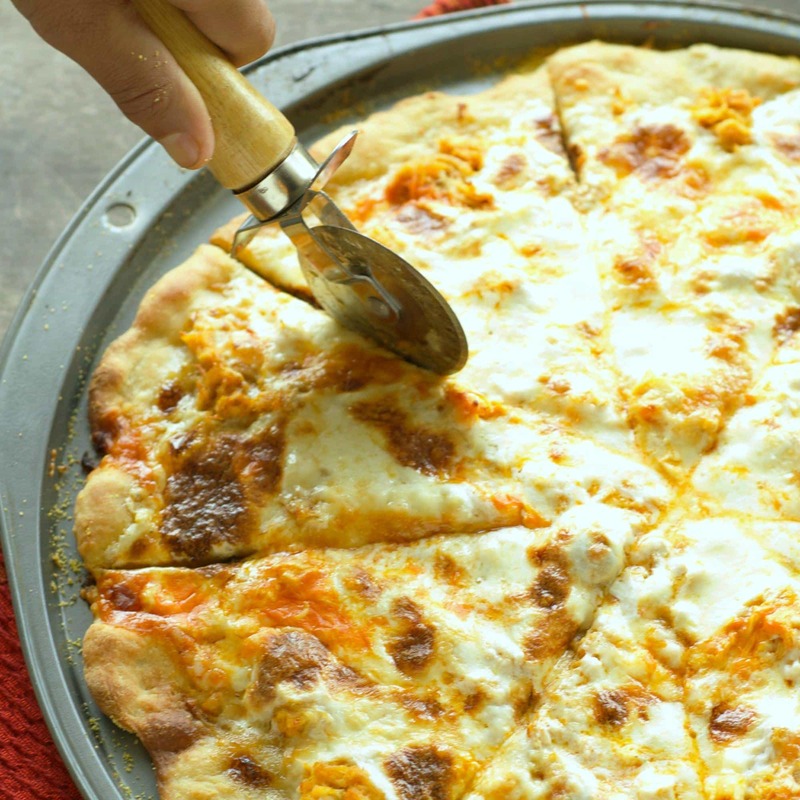 I’m going to share with you my favorite pizza crust recipe that I use which is this recipe at Food.com. It is for the bread machine and the only way I know how to make dough. If you don’t have a bread machine you can make your own favorite crust recipe or if you want to keep it really simple then you could even use a pre-made dough or crust (Trader Joe’s sells a delicious dough!). The only change I make to this dough is to add a tablespoon of dried roasted garlic powder…yum! That recipe is enough for two 14 inch round pizzas so if you make it you can freeze one for later! So we’ve talked about the chicken and we’ve talked about the dough. Now let’s talk about the pizza. Mmmmmm, the pizza. 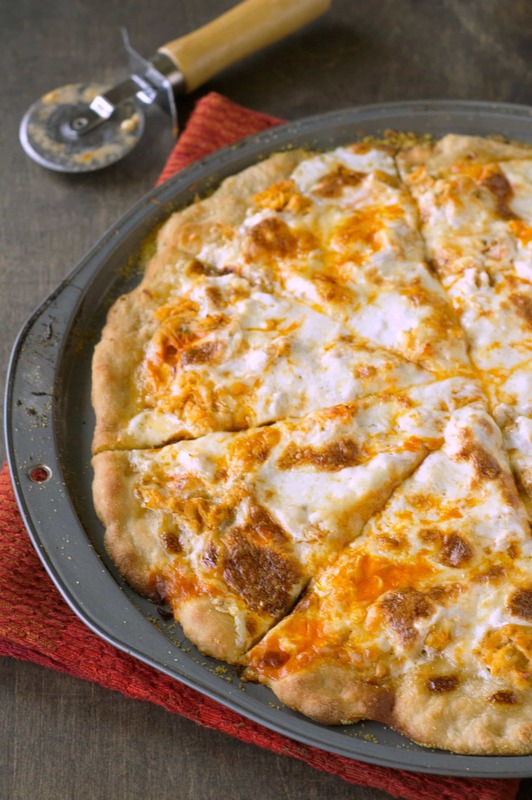 Use a creamy ranch as the pizza sauce and a mixture of shredded and fresh mozzarella along with blue cheese and fresh shredded parmesan cheese. Bake it up in a nice hot oven until it’s all golden and bubbly! 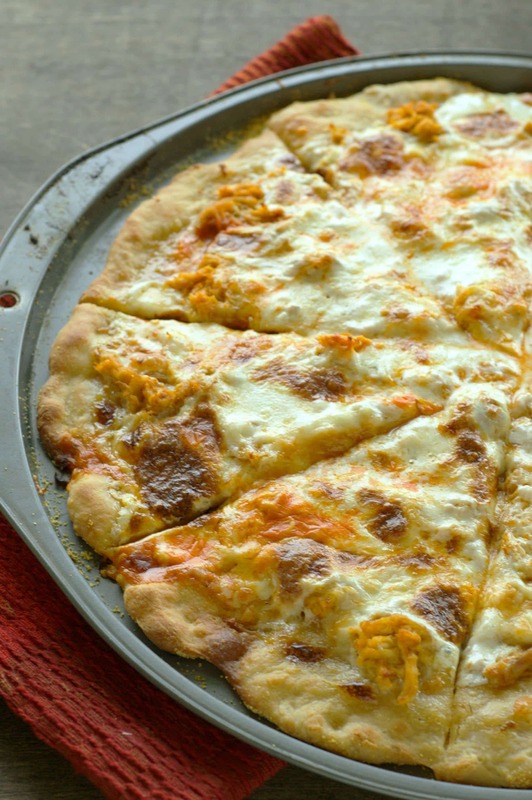 The cornmeal helps give the crust that extra crunch! Amazing! Hands down this beats any take-out pizza I’ve ever had! Friday night pizza night will never be the same! Do you thaw your chicken first? Yes, I always thaw my meat before placing it in the slow cooker.